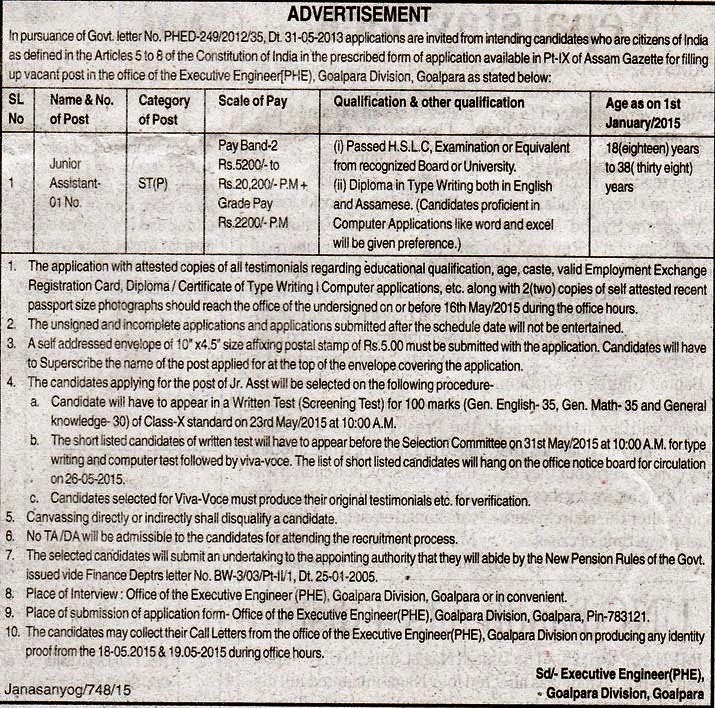 O/o Executive Engineer (PHE), Goalpara Division, Goalpara. Scale of Pay: Pay Band-2 Rs.5200/-to Rs.20,200/- P.M + Grads Pay Rs.2200/- P.M.
(i) Passed H.S.L.C, Examination or Equivalent from recognized Board or University. Age as on 1st January/2015: 18(eighteen) years to 38( thirty eight) years.